Renaissance masters Leonardo da Vinci and Michelangelo are both highly recognised and admired in their own right. However, during their career they were intense rivals and fiercely competitive with each other. 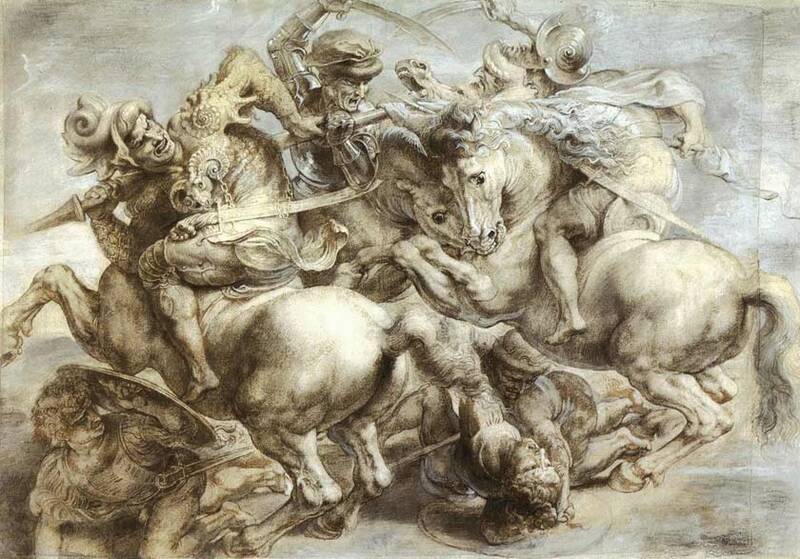 The rivalry between the two great masters began in the early sixteenth century, when both Leonardo and Michelangelo were hired to paint vast battle scenes on the same wall of the Council Hall in Florence’s Palazzo Vecchio. The two artists were in direct competition as they each completed their commission. At the time of the commission, in 1503, Leonardo was in his early 50s, and was well known throughout Europe. He was commissioned to paint a huge wall painting of The Battle of Anghiari, a scene from the recent wars between Florence and Milan. Then, just a year later, Michelangelo, aged only twenty-nine and something of a prodigy, was commissioned to paint The Battle of Cascina, a fourteenth century conflict between Florence and Pisa, on the same wall. This commission came months after Michelangelo’s David, arguably still the world’s most recognisable sculpture, was unveiled in Florence. Despite his fame, Leonardo now had a rival. Renaissance biographer of the artists, Giorgio Vasari, was explicit that this was a contest, writing that Michelangelo was commissioned “in competition with Leonardo”; with competition came hatred and paranoia. Both artists made their disdain for their rival clear, criticising their work heavily. There was a great deal at stake in this commission. 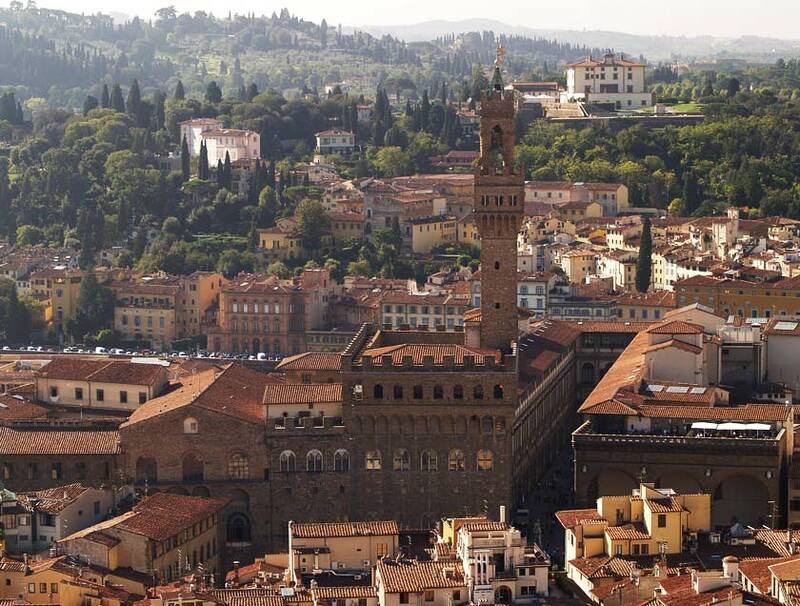 It was to be a celebration of the newly formed Florentine Republic after the expulsion of the Medici in 1494, and so required patriotic masterpieces that celebrated the city’s freedom. Unfortunately, neither one finished his painting. Leonardo was already well known as a non-finisher, and this commission began a trend for leaving works unfinished. Leonardo got a lot further with his commission than Michelangelo; he took a long time to finish his sketches, and then in the development of a machine that would allow him to move up and down the wall with ease. He also experimented with his materials, attempting to use oil to paint instead of fresco. The results were poor, and resulted in the work disintegrating much quicker than normal. 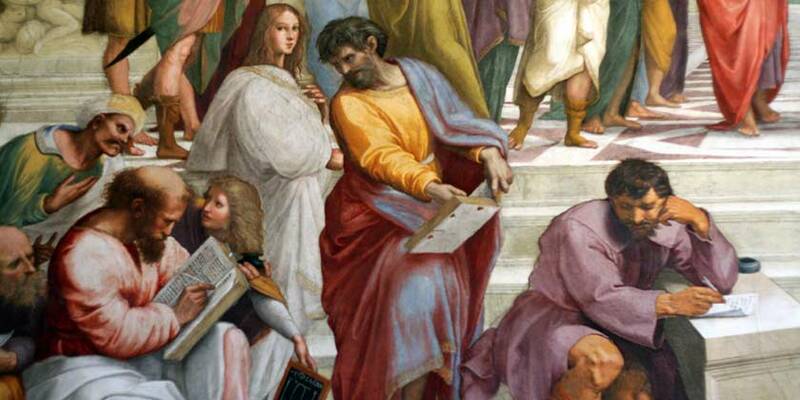 Michelangelo, on the other hand, never got past the drawing stage. His drawing, it is widely accepted was fantastic. He drew a full-size cartoon in amazing detail, showing a horrifying entanglement of human and animal bodies capturing the full extent of the horrors of war. Even though, unlike Michelangelo’s, Leonardo’s painting did eventually make it onto the wall, it was soon painted over. After 1530, republicanism was finished in Florence, and the Palazzo Vecchio became a Medici palace, so the Council Hall was redecorated in order to suppress the republican past. Since the sixteenth century, people have speculated about the content of these wall paintings extensively, and they remain one of the great mysteries of the Italian Renaissance. 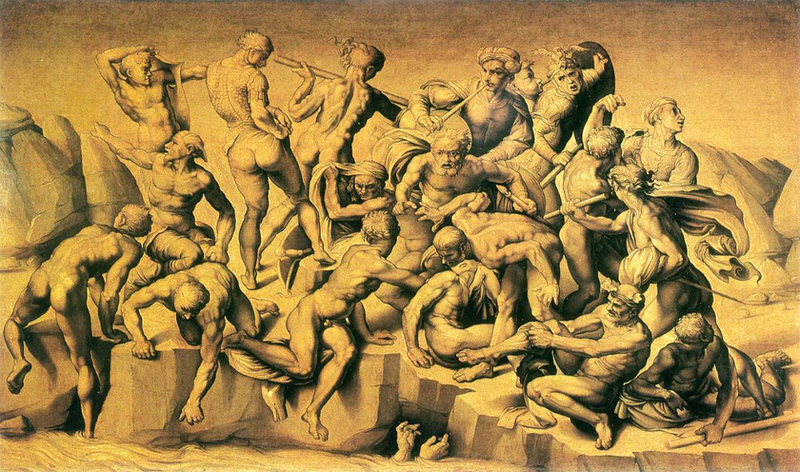 Another artistic Renaissance rivalry existed between Michelangelo and Raphael. When young artist Raphael emerged onto the Renaissance art scene in Italy in 1504, he had an intricate style that was influenced by his predecessors, including Leonardo and Michelangelo, he certainly ruffled a few feathers. In 1508, at the young age of twenty-six, Raphael was commissioned by Pope Julius II to paint a fresco in the Pope’s private library in the Vatican Palace. He beat out competitors Michelangelo and Leonardo to win the commission, and his work was very highly reviewed. Michelangelo, who was used to earning this kind of praise himself, unsurprisingly did not react well to his skill being called into question by a newcomer, and Raphael played into their rivalry by including a portrait of Michelangelo in the figure of Heraclitus in his Stanza della Segnatura. Heraclitus is known as ‘the weeping philosopher,’ and Raphael portrayed Michelangelo looking suitably grumpy and lonely, in what was undoubtedly a dig at the older artist. At a time when Michelangelo should have been gaining recognition for his commissions such as the Sistine Chapel, it seemed that his fame and glory was being usurped by a younger artist. 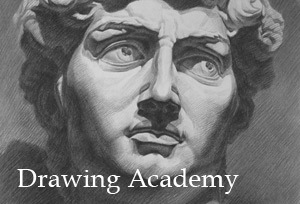 Learn time-honored oil painting techniques of the Old Masters! 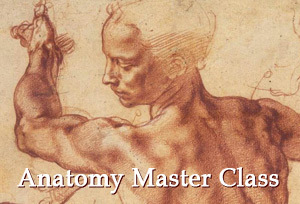 The Old Masters Academy™ course is very comprehensive, yet totally beginner friendly. All you need to do is watch video lessons one by one and use what you’ve learned in your creative projects. You will discover painting techniques of the Old Masters. 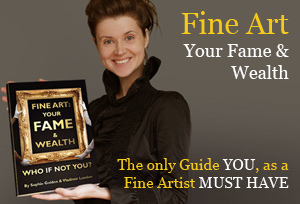 This is the best art learning experience you can have without leaving your home. All information is delivered online, including personal support by the course tutor.